States that mass is neither created nor destroyed in any ordinary chemical reaction. Law of definite proportions states that every chemical compound contains fixed and constant proportions (by weight) of its constituent elements. 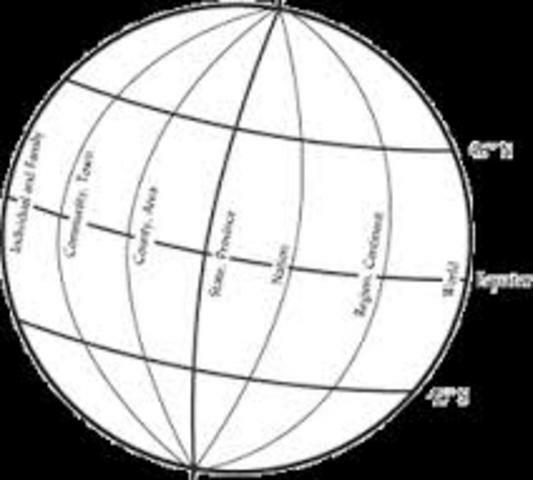 The spherical model in statistical mechanics is a model of ferromagnetism. John Dalton in 1803, proposed an "atomic theory" with spherical solid atoms based upon measurable properties of mass. Dalton's theory came after Democritus who theorized that all matter was made of invisibe particles called atoms. He was one of the creators of the first basis for the Atomic theory. 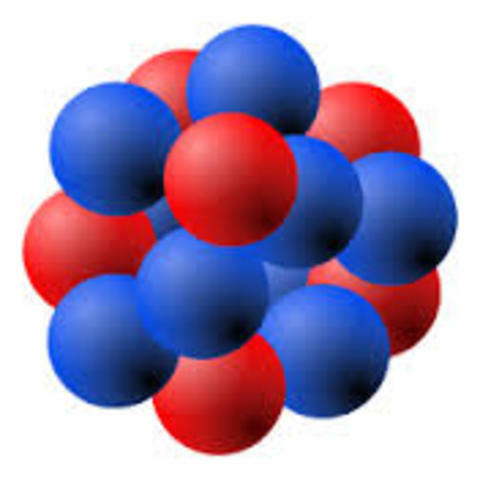 The atomic theory states that all objects are made up of indestructible particles or atoms. Eugene Goldstein along with Rutherford discovered the protons in cells. 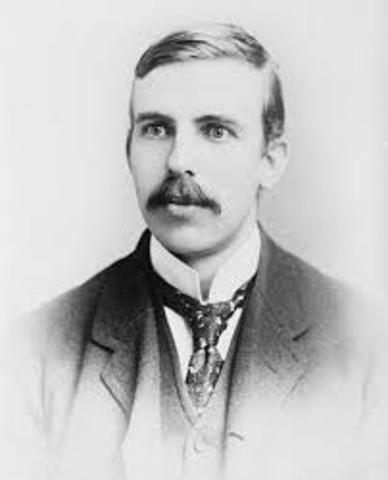 Ernest Rutherford proposed the name proton for the positively charges particles in the nucleus of an atom shortly after the end of World War 1. J.J. Thomson constructed experiments to find a definitive and comprehensive answer about the nature of cathode rays. He showed that cathode rays were composed of a previously unknown negatively charged particle, and thus is credited with a discovery and identification of the electron. 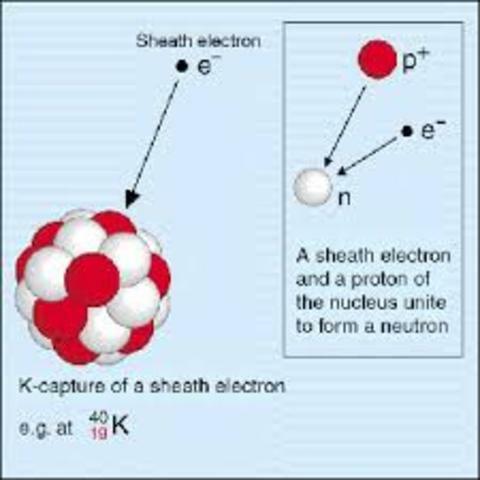 An electron is a negatively charged subatomic particle, its symbol is e-. The quantum theory in physics is based on the principle that matter and energy have the properties of both particles and waves, created to explain the radiation of energy from a blackbody. 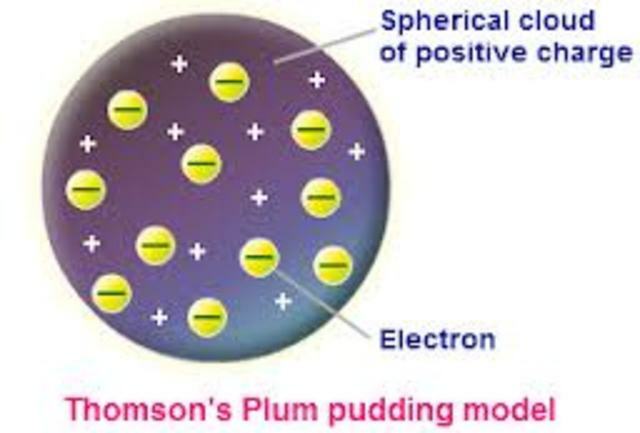 J.J Thomson proposed this model in which the atom is composed of electrons surrounded by soup of positive charge to balance the electrons' negative charges, like raisins surrounded by pudding. Hans Geiger and Ernest Marsden scatter alpha particles off a gold foil and observe large angles of scattering, suggesting that atoms have a small, dense, positively charged nucleus. The nucleus is the very dense region consisting of protons and neutrons at the center of an atom. 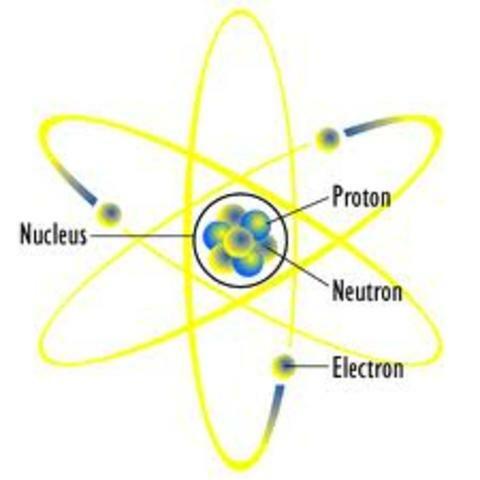 Rutherford and Chadwick stated that it is protons and neutrons in the nucleus orbited by electrons in the electron cloud. Niels Bohr depicts in his Bohr Model the atom as small, positively charged, nucleus surrounded by electrons that travel in circular orbits around the nucleus. He also said that the electrons can jump from one level to another. The Quantum Mechanical Model is a model of atomic structure that is based on mathematics and can be used to explain observations made on complex atoms. He stated that the moving particles, electrons were similar to waves. 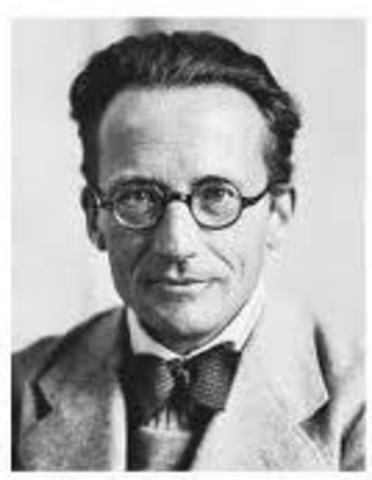 He developed the model that illustrated that electrons are found with a blurry cloud called the electron cloud. 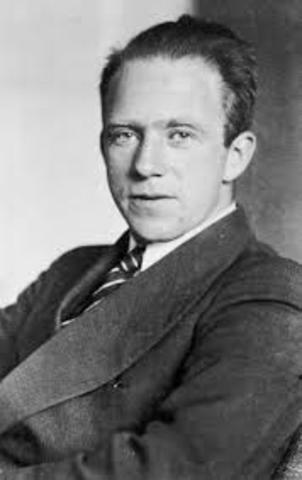 Werner Heisenberg discovered the uncertainty principle. The uncertainty principle is one of the most fundemental characteristics that distinguishes quantam mechanics from classical physics. 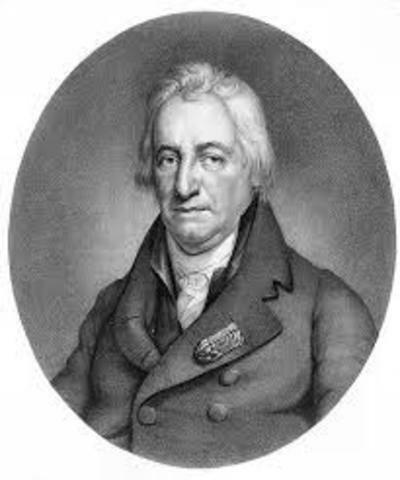 He proposed that an electrons position and velocity can not be simultaneously known. 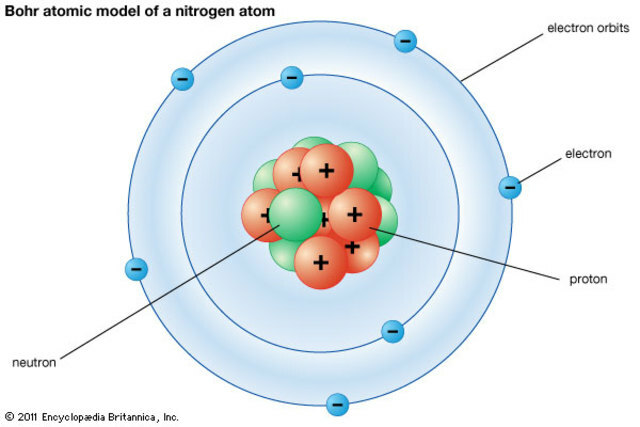 At the same time that Rutherford proposed the name proton for the positively charged particle, he proposed that the nucleus also contained a nuetral particle, eventually named the neutron. 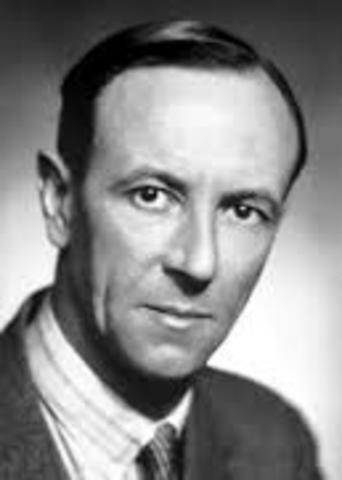 It was not until 1932 that James Chadwick was able to prove that these neutral particles exist, also known as neutrons. The nuclear shell model is a model of the atomic nucleus which uses the Pauli exclusion principle to describe the structure of the nucleus in terms of energy levels.